Fun, food and fashion! Last Thursday was a night to remember thanks to Jax and Debb, who hosted an event at their newly opened location. As everyone knows by now I love my city and love the diverse shopping scene even more. Therefore, I was ecstatic when I received an invite to an event at a new boutique called Jax and Debb. With some research I learned that this boutique sells mens clothing and is located in Wicker Park. Naturally, I wanted to know more and I was lucky enough to get an interview with the owner, Jacki Debb, who kindly answered a few questions for me about her new boutique. Style & Forks: What inspired you to open the boutique? Jacki Debb: I have always been involved in fashion. After majoring in business in college, followed by being a freelance fashion stylist, styling for magazines and runway shows. I found that I had a knack for fashion. When the opportunity presented itself where I could merge my business knowledge with my love and excitement for clothing, it was clear I had to take the opportunity. S & F: How did you decide on the location? J D: I decided on the location of north ave due to the fact that something is always going on. People are always walking around and the hustle and bustle of the neighborhood is thrilling. Bucktown/Wicker park is becoming one of the hottest areas in Chicago and it is such a nice and friendly neighborhood. People are always walking in and welcoming me. S & F: What sets your boutique apart from others? J D: The difference between Jax and Debb and other boutiques is the ambiance. My staff and I try to go above and beyond to make the shopper comfortable and enjoy there shopping experience. From the second you walk in the door and see the merchandise, you know you will find something. The blank canvas of the white walls let the merchandise speak for itself. 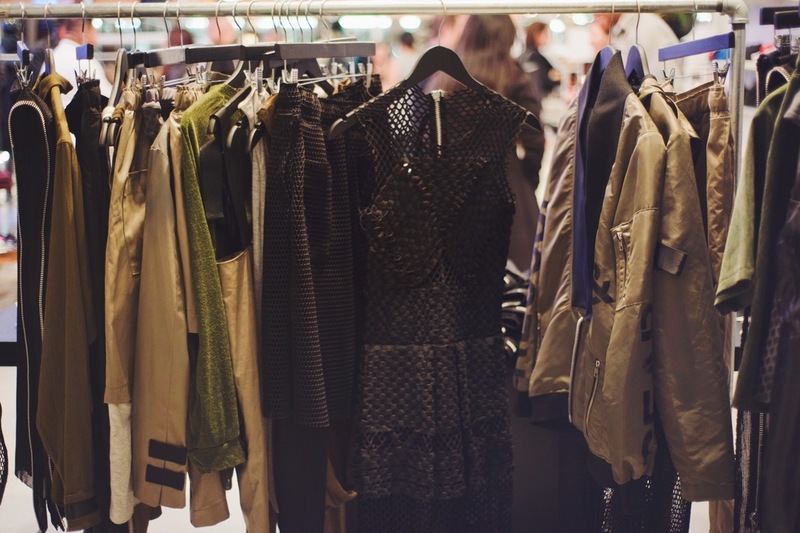 S & F: When can we expect to see womenswear in the boutique? J D: We actually have a small amount of woman’s wear currently, and we will have much more come spring of 2016! S & F: How do you source the brands that are featured in the boutique? J D: Trade shows and research. My staff and I follow blogs, read magazines and are constantly looking for the newest and hottest trends, while maintaining a focus on classic pieces as well as trendy merchandise. Jax and Debb: Denim, Denim, Denim! S & F: What are your long term goals for the boutique? J D: Success! I want to be the name that people think of when they think of Chicago fashion and shopping. I was very excited to see the store and I must say it is spectacular. The store has a beautiful and clean layout, and as Debb said, the ambiance is unlike others. Everyone that I met from the team was extremely welcoming and helpful. Although I wasn't planning on shopping that night, I could tell I would have an amazing shopping experience the next time I visit Jax and Debb. Basically I need everything on this rack. Naturally, one of my favorite parts of the night was the food. The event was catered by the uber talented chef Gabriel Miranda. There were mini tofu tacos, chicken meatballs and salmon with guacamole. I'm not doing the food much justice, it was much more intricate and tasty than I can explain. The mini bites were aesthetically pleasing and very appetizing. Overall it was a fantastic night and I can't wait to visit the boutique again. If you are a fan of fashion, supporting local businesses and an awesome shopping experience, I believe Jax and Debb is definitely worth checking out. It is located on the corner of North Avenue & Elk Grove Avenue and I'm sure they would love to see some new faces.